Eastern Marine Services offers complete in-water video production for a variety of needs. Pool Parties – Get a whole new perspective! 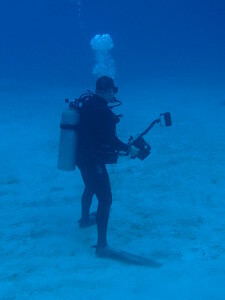 If it happens underwater, we can film it. We offer full video editing and production services and can produce high quality full color DVD’s with inserts and cases, shrink-wrapped and ready for any use.